“Richard I”... “Good King Richard”... “Richard Coeur de Lion”, call him what you will, was King of England from 1189 until his death in 1199. He was also Duke of Normandy, Aquitaine and Gascony and a host of other titles in France. Apart from his childhood in England most of his adult life was spent overseas in Aquitaine. When he became King he led the Third Crusade to the Holy Land after the departure of Philip II of France. Although winning many notable victories over his Muslim opponent ‘Saladin’ he never managed to recapture Jerusalem. Fondly remembered by his English subjects he in turn thought of them primarily as a useful source of taxes and revenue to pay for his foreign adventures. 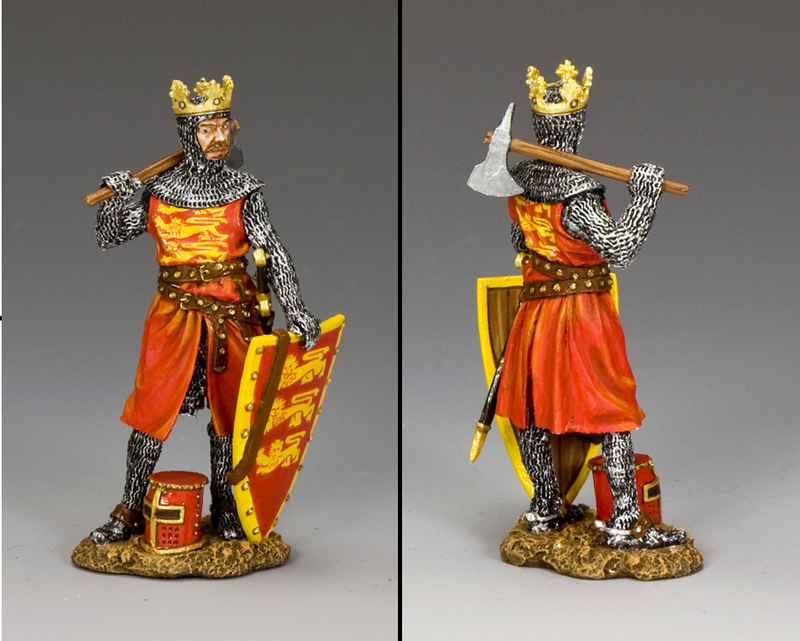 In legend, popular books and movies “Richard the Lionheart” is usually portrayed as a kind, wise and benevolent ruler as opposed to his evil brother Prince John who acted as Regent throughout the King’s long and frequent absences. 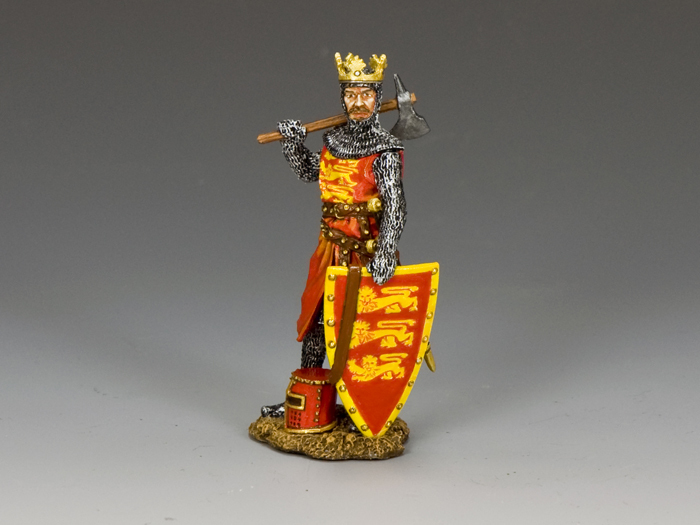 Our standing figure has him dressed in his Royal Red Livery with the symbols ‘Gules, three Lions passant guardant’ on both his chest and shield. First adopted by England’s Plantagenet Kings in 1154, they have ever since come to symbolize the nation of England.